As December starts, I thought I should review a few basic guidelines to have a stress-free holiday season. For any readers looking for reassurance that this can be done, you’ve come to the wrong psychiatrist. Now, make no mistake, these are great guidelines. I’ve been avoiding them for years. I provide them to you not only as evidence-based practice, but as yet another aspirational reminder to myself. The first guideline is: make sure you get time off. I’m a doctor and, if you’re a doctor, this is harder than you might imagine because doctors never have a good idea of what “off” really means. “Off” means that you are completely not available for any work-related task. You keep your cell phone off. You don’t check work email. You don’t respond to even one teeny weeny little prescription request. I know you understand. So do I, in theory. The second guideline is: think carefully before going on any long trip over the holiday period. The minute you get to the train station or airport or on the highway, you will realize how few people take this advice. To be honest, I’m not taking this advice. I am going on a trip. The corollary to the advice not to travel is that, if you must travel, make sure that the trip simplifies your life in some major way. For example, perhaps going on a trip will avoid your having to attend a family Christmas function, or a whole string of holiday parties. Perhaps you are escaping winter for a week. What ever the reason you are travelling, make sure it balances the difficulty of travelling. The final rule is related to family. Think of the best times that you have spent with your family. If spending the holidays with your family has always been difficult, there is no reason that this will start to improve this year. Instead, remember the most fun you have had with your family and plan one of those activities over the holiday period. Positive experiences are the key to that old saying about the best families, “We put the fun in dysfunctional.” I believe in families in the same way that I believe in democracies. They’re not great, but they’re really the best system there is and for many of us, our life’s work is to make both better. After thirty years of practicing psychiatry, I have gotten used to people burdening the holidays – and especially Christmas – with more hope and joy than can be brought by any angel. I do always advise people against setting their hopes too high. I remind them that the best gifts come unexpectedly. One of my favourite gifts came many years ago from my four year old son. 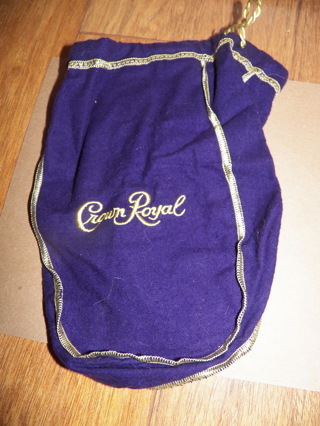 He filled a purple Crown Royal bag – which he loved and wanted to keep – with many, many little cut out suns. He told me it was a bag full of sunshine. He knows I hate cloudy days and those suns have gotten me through many bad days. I gave him back the bag.